Has Chapter 11 Hurt The Sound Of The Philadelphia Orchestra? 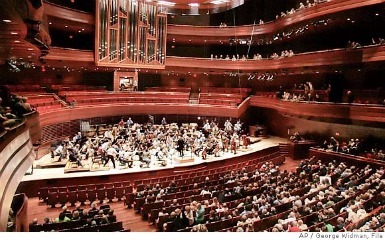 This weekend the legendary Philadelphia Orchestra filed for Chapter 11 Bankruptcy Protection. This is bad news for the group that has been around for over 100 years. They say the quality of the performances will not suffer, but after hearing this weekend’s performance, I have to disagree. Listen below and let me know what you think.